Thomas the Train Tough Trike Only $14.99 Shipped! This Thomas the Train Tough Trike is only $14.99 shipped! The price says $24.99 but when you check out $10.00 will be taken off your total. Shipping is also FREE. 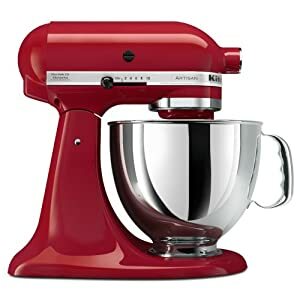 Amazon.com has this KitchenAid Artisan 5-Quart Stand Mixer on sale for $219.88 (after rebate). It also ships FREE with Amazon Prime. I have this mixer and I also bought one for my daughter when she got married last month (used Swagbucks – don’t you love them!). Go here to print the $30 KitchenAid Rebate Form. The rebate also includes a one-year subscription to Martha Stewart Living or Everyday Food Magazine. Melissa and Doug Scissor Set Only $3.22 Shipped! Amazon.com is selling this Melissa and Doug Educational Toy ChildSafe Scissor Set for only $3.22. They normally sell for $14.89! They also ship for FREE with Amazon Prime. Thanks, Simply Free for Me! Now this is a crazy price! You can get a CaseCrown Genuine Leather Horizontal Flip iPad Case for only $1.00 (normally $39.99) from Amazon.com! Amazon.com – Call of Duty: Special Ops Only $39.99! Did you get a new gaming system for Christmas or a gift card to Amazon.com? Here’s a hot deal for you. Call of Duty is on sale for $39.99 (normally $59.99). It’s available for Xbox 360, PS3, and PC. Amazon.com will give you a $5.00 video on demand credit when you connect your twitter account to your Amazon.com account. Go here to get started. 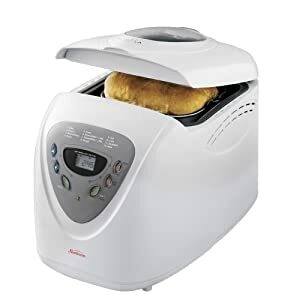 Amazon.com has the Sunbeam 2-Pound Programmable Breadmaker on sale for $42.99. It normally sells for $102.09! Get FREE 2-day shipping with Amazon Prime (FREE (for 2 months) with Amazon Mom membership – also FREE). Update: it is now $19.99! 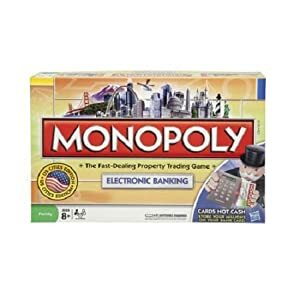 Amazon.com has Monopoly Electronic Banking on sale for only $9.99 – it normally sells for $39.99! Hurry – I don’t think this deal will last long. Want a FREE movie ticket to see Little Fockers? When you buy one of 31 different movies on Amazon.com you will get a FREE ticket. Several of the movies are selling for $7.99 (less than the cost of a movie ticket!). Scotch Thermal Laminator Only $16.99 – 79% Off! Amazon.com has this Scotch Thermal Laminator 15.5 in x 6.75 in x 3.75 in 2 roller system on sale for only $16.99. It normally sells for $80.49. Wow!